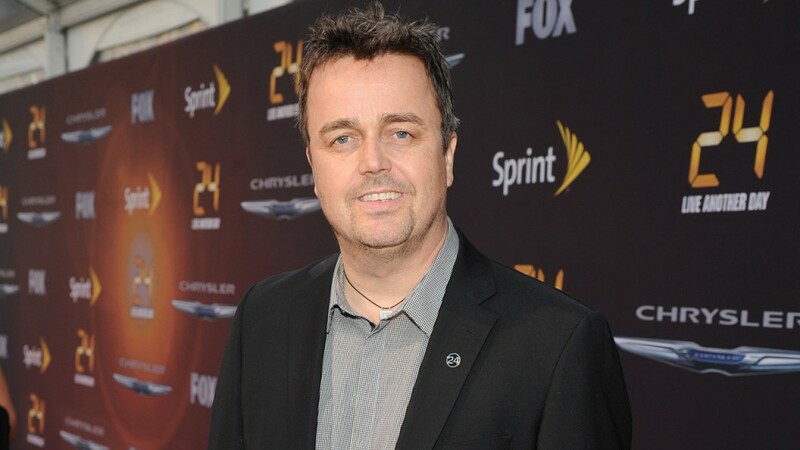 Other than the main theme, can we expect to hear any thematic references to music heard in previous seasons of 24? There are lesser known themes that spoke to the notion of personal sacrifice as the series went on. These ideas continue to play out in “24: Live Another Day,” and I have found myself arriving back at these themes. This was something I did not plan, but it works so well for how the story is unfolding. 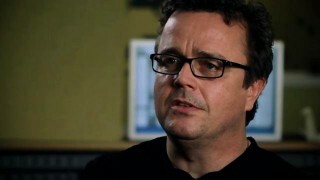 Do you expect to release a commercial score of 24: Live Another Day? I would very much like to. I have heard from some fans requesting music from Seasons 6-8. I am trying to get it all done. It has been almost 13 years since the premiere of 24. Are there any moments in the show’s lifetime that especially stand out for you, both from a musical and collaborative perspective? There are several, but one pops up. It happened in Season 2. It is in the middle of the night, and Jack volunteers to sacrifice his life by flying a small plane with a ticking nuclear bomb onboard into the Mojave Desert, and crashing it into an unpopulated area. Along the way, he discovered the head of CTU, George Mason (played by the great Xander Berkeley) stowed away. Mason was exposed to a fatal dose of radiation in the first two hours of the season, and is near certain death from radiation poisoning. He convinces Jack, who is still mourning the loss of his wife, to embrace his life again, and let Mason steer the plane into the ground instead. There is this beautiful sequence that follows where Jack parachutes out of the plane as Mason plunges the plane downward. Ian Toynton’s direction is simply masterful, shot so beautifully as Jack floats down silently towards the desert landscape. There is no dialog, just imagery. There is palpable relief and catharsis in this extended sequence, as Jack lands safely while Mason sacrifices himself and crashes the plane at a safe distance, saving thousands of lives in the process. A beautiful moment in the series. I very much hope that there will be an official CD release of the soundtrack music of “24: Live Another Day” and also an official CD release of the soundtrack music from seasons 6, 7 and 8. I already have the 2004 CD with the soundtrack music of the first three seasons and the 2006 CD with the soundtrack music from seasons 4 and 5 and the 2008 CD with the soundtrack music of “24: Redemption”. 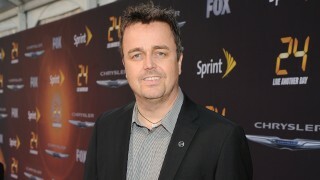 Sean Callery has written amazing and catchy tunes for the 24 soundtrack all of this time. In my opinion, 24 is the best TV show of the 21st Century and 24 also has the best soundtrack music of any 21st Century TV show too. I so hope we get another soundtrack. His score makes the show. There’s still some phenomenal unreleased gems from seasons 1-5 that are begging to be released. There’s some gems from S6-S8! Also XAM just the other day I think I found the track that plays when Henderson traps Jack in the server room. It’s the music from after the explosion, but it’s like the last minute or so of the “Mandy’s Plan” track from the S4 & S5 soundtrack. I think the soundtrack for 24LAD so far is comparable to Day 5. My favorite way to watch S5 is with headphones on because there is something almost primal in the undertone of the score and it’s it’s found in the subtle layering but it’s something that I can only appreciate with good head phones on. LAD is very similar. Sign me up! I LOVE the scores for this show! As some said above, the second half of the series had less epic themes. I REALLY miss/missed when the score would continue through the episode. Best example: the Ted Coffell theme. There are some exceptions though: I love the score that plays when Jack is watching Renee on the beach, and it recurs though out the ep. So badass! Heh the beach comment confused me too at first. I think ArtCore is referring to S8 Ep 6 where Renee and Ziya were about to be executed by Vladimir – they’re on a little beach area near the water. The scene that really get to me when in S7, Jack is in the hospital bed and the Iman, who Jack befriended comes and sits down next to him.Jack had requested he be there. Jack say’s, “you don’t know what I have done”, and the Iman just says some beautiful lines, with lovely music in the back ground. I was moved beyond years and that doesn’t happen often.